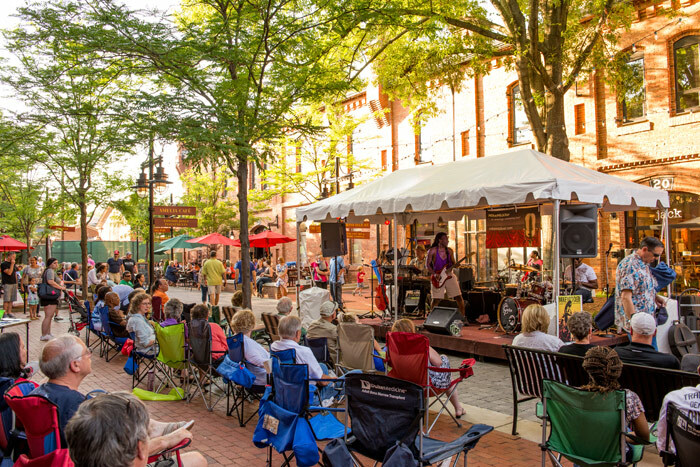 Whether it’s our popular Summer Concert Series or any of a number of events put on by Brightleaf shops and restaurants, there’s always something going on in the Square! Here are a few upcoming events. Stop by our participating shops for Shop 2nd Saturday Downtown Durham. Visit 2ndSaturdayDurham.com or follow #2ndSaturdayDurham for details. We are excited to welcome the Durham Roots Farmers Market to Brightleaf Square. They will gather in the courtyard and extend into the Peabody Street parking lot each Saturday morning. You will find vendors come from Durham County, the Upper Neuse watershed and all of Orange, Person, and Granville counties. Come share their passion for Farm to Table. Details is hosting Nita from Nita’s Passion on Saturday April 13th from 11am – 6pm. Custom jewelry that you will fall in love with.